Clint Bowyer picked up the 8th last-place finish of his Monster Energy NASCAR Cup Series career in Sunday’s Auto Club 400 at the Auto Club Speedway of Southern California when his #14 Rush Travel Centers / Haas Automation Ford fell out with overheating issues after 130 of 200 laps. The finish, which came in Bowyer’s 474th series start, was his first of the season and first in Cup since September 3, 2017 at Darlington, 52 races ago. 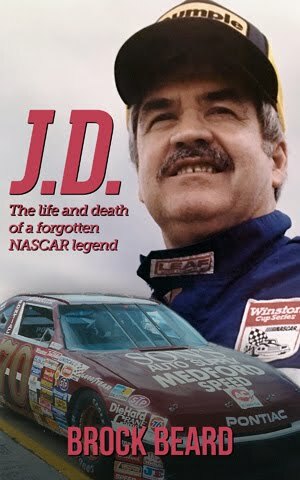 In the Cup Series last-place rankings, this was the 40th for car #14, the 116th from overheating issues, and the 689th for Ford. 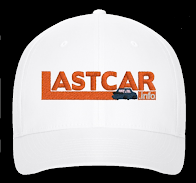 Across NASCAR’s top three series, it was the 59th for the #14, the 172nd from overheating, and the 948th for Ford. 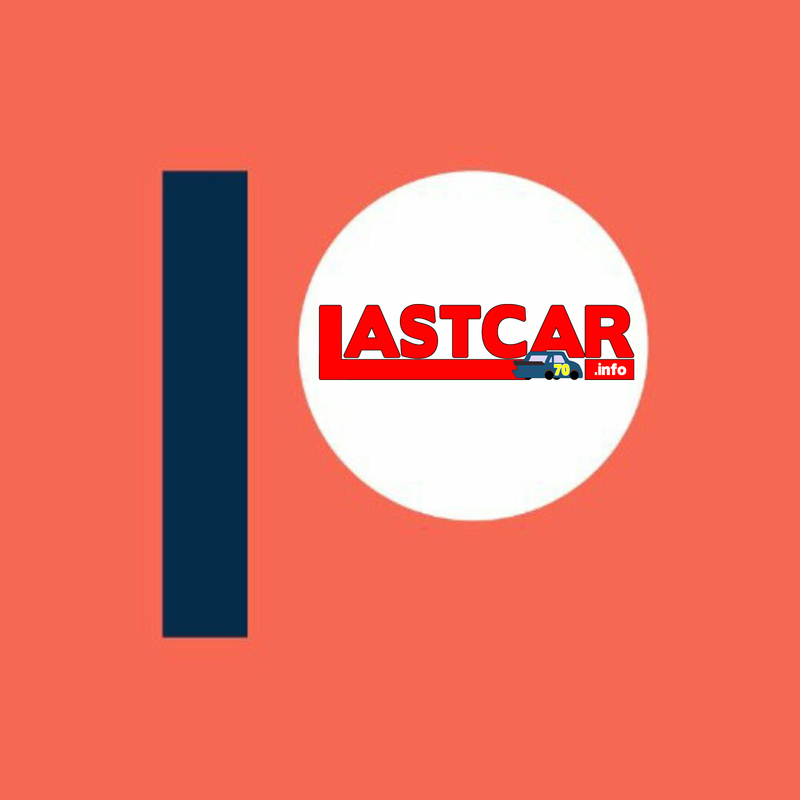 The last time Bowyer was featured on LASTCAR in 2017, his frustrating night in Darlington all but eliminated him from Playoff contention. It was a disappointing end to his first full season with Stewart-Haas Racing after taking over for the retired Tony Stewart. All that changed last year, when he ended a nearly six-year winless drought at Martinsville, claimed a rain-shortened win at Michigan, and remained in Playoff contention until a crash in the penultimate round at the ISM Raceway. Bowyer’s 12th-place rank in points was his best since 2013, and set him up for another strong year in 2019. Coming into Fontana, Bowyer sat 11th in the standings with a season-best 5th at Atlanta. Through those first four rounds, his #14 Ford Mustang had ranked no worse than 20th, his lone DNF of 2019 after a crash in the Daytona 500. He looked to keep the momentum going in Fontana, a track where he’d finished inside the Top 10 in nearly half of his 18 starts, and finished inside the Top 20 in his last three in a row. Bowyer’s Fontana weekend began with the 14th-fastest speed in opening practice. He then made the controversial third round of Friday’s qualifying session, improving from 13th in Round 1 to 9th in Round 2. When he and the rest of the Round 3 participants waited too long to time in, he was officially credited with the 9th spot from Round 2. Officially, he had no listed speed, though his Round 2 mark clocked in at 178.359mph (40.368 seconds). Starting 38th and last on Sunday was Joey Gase, who was back in the Cup garage for the first time since his disastrous weekend in Las Vegas. Team owner Carl Long at Motorsports Business Management made good on his promise to run logos for Nevada’s chapter of the Donate Life organ donor program on Gase’s #66 Toyota, running the exact same paint scheme that completed just 10 circuits in Vegas. He was joined at the back by two teammates from Front Row Motorsports: rookie Matt Tifft, whose #36 Surface Sunscreen / Tunity Ford changed engines, and Michael McDowell, whose #34 Love’s Travel Stops Ford twice failed pre-race inspection. Rolling off pit road after the command, Tifft stopped at the exit of pit road along with the #00 Manscaped Chevrolet of Landon Cassill, the #77 Benevolent Foundation Chevrolet of Garrett Smithley (which, like his XFINITY ride for JD Motorsports, was backed by CalFire, where Smithley’s father works as a wildfire tanker pilot), and the #52 Mtel-One Ford of B.J. McLeod. The four of them then rejoined the pack into Turn 3. By the end of the first pace lap, McLeod and Smithley lagged behind last-place Gase’s #66, as did Reed Sorenson in the #27 Rim Ryderz Chevrolet. The field then ran a five-wide salute to the fans, after which point McDowell dropped to the rear, followed by Tifft. Neither Front Row car spent much time in the rear as Sorenson, McLeod, Smithley, and Gase all dropped in behind the pair and filled out the final two rows when the green flag dropped. On the break, Gase was running alongside Smithley, who shook off the #66 as they exited Turn 2. Smithley also made quick work of McLeod, who dropped back into Gase’s sights. By Lap 8, Gase reported a tight condition while McLeod pulled away from him, and the pair were more than 20 seconds back of the leaders. Those leaders caught up to Gase on Lap 13, then the next time by passed on the high side of Turn 1, putting Gase the first car one lap down. Gase lost a second lap by the 26th circuit, just short of green-flag stops. The first round of pit stops caused last place to change hands several times. Cody Ware, McLeod’s Rick Ware Racing teammate in the #51 Jacob Companies Chevrolet, took the spot after his stop on Lap 33. Smithley took it seconds later on the same circuit. On Lap 34, McLeod took 38th for the first time, and returned to action three laps back of the lead. Gase finally made his first stop on Lap 37, and retook the position the next time by. It was on this same 37th lap that Bowyer began to find trouble. Running 18th at the time, Bowyer radioed his crew that his engine felt like it was blowing up, that he had dropped a cylinder and there was smoke in the cockpit. Nevertheless, the #14 continued to run under power while a two-car battle ensued for last between Gase, 4 laps down by the 45th circuit, and McLeod, who picked up a large piece of debris on the backstretch. The pair then made several pit stops: McLeod took last again on Lap 58, followed by Gase on the 65th, McLeod on the 66th, Gase on the 67th, and McLeod on the Lap 68 restart. 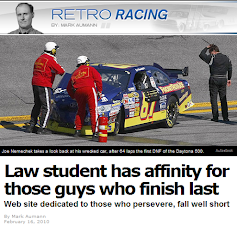 On Lap 74, McLeod slowed down the backstretch and pulled to the apron of Turns 3 and 4. The Ford then crept down pit road and pulled into the garage, apparently done for the day. However, on Lap 86, the Rick Ware crew got the #52 rolling again, and McLeod returned to action 18 laps down on Lap 88. At that point, all 38 drivers were still on the track – including a concerned Bowyer – with none more laps down than McLeod. Through all of this, Bowyer’s day went from bad to worse. A spotter miscommunication led to a tangle with Corey LaJoie’s #32 Hartford Gold Group Ford as the two raced off Turn 4, causing some cosmetic damage to both sides of the #14. Then, around Lap 135, Bowyer pulled into the garage area, citing the same engine issue from before. This time, the problem proved terminal. Five laps down in 33rd already, Bowyer’s car was pulled off RaceView on Lap 142 and shown “out” on FOX’s leaderboard soon after. On Lap 155, McLeod finally moved past Bowyer, dropping the #14 to last place. As it turned out, the Kansas native was the day’s only retiree, and the only one to score his first Bottom Five of 2019. McLeod finished 37th, a full 42 laps ahead of Bowyer, but 28 laps down to race winner Kyle Busch. Smithley took 36th, 16 laps ahead of McLeod, and on the same circuit as Gase, who gave the Nevada Donor Network 188 laps of visibility. Rounding out the group was Reed Sorenson, four laps ahead of Gase and Smithley, and eight laps back of the leaders. 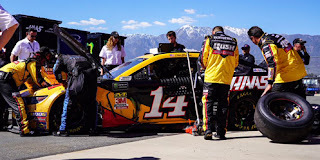 *This marked the first time that both Bowyer and car #14 finished last in a Cup Series race at the Auto Club Speedway. *Bowyer is also the second-highest qualifier to finish last in a Cup race at the Auto Club Speedway. The record remains with Sam Hornish, Jr., who started 7th on February 25, 2008.